Zenfone Selfie (ZD551KL) is 5.5 inch smartphone, easy to carry anywhere and easily slides into your pocket or purse. 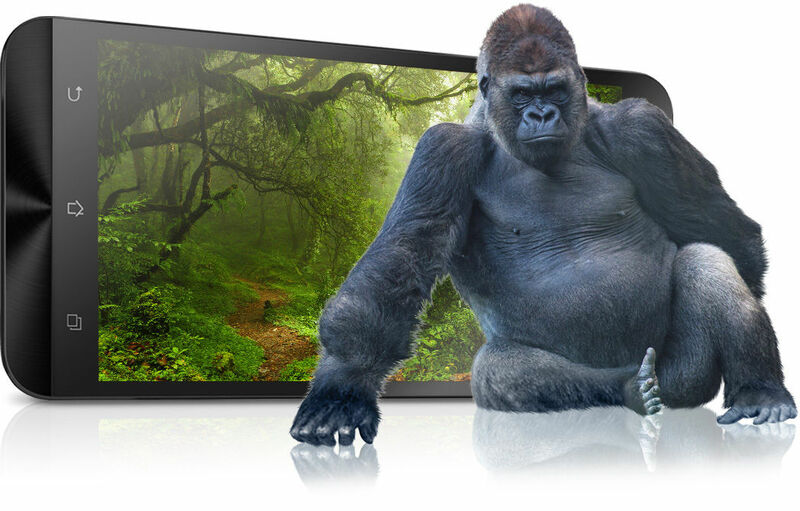 It is equipped with a high resolution 1920 x 1080 Full HD IPS display that gives a vivid viewing experience with wide 178-degree viewing angles. With 403 ppi pixel density, you will be able to view everything in perfect detail and with ASUS TruVivid technology, it will bring colours to life on your screen. To make this brilliant device robust, this phone is equipped with strong Corning Gorilla Glass 4 that gives an extra protection to the device by making it drop-damage resistant, thereby increasing its strength and sturdiness. Asus ZenFone Selfie (ZD551KL) consists of the industry's first octa-core 64-bit processor — Qualcomm’s Snapdragon 615 that gives superb performance coupled with a massive 3GB of fast memory. With this processor, you will be able to shoot pictures with amazing speed, record and edit Full HD (1080p) video with minimal battery draw. Also, with 4G/LTE you will be able to share everything at incredible speed of up to 150 Mbps. It runs on the operating system Android v5 (Lollipop) which helps you to easily multi-task. Play your favourite tracks whenever you want as this smartphone consists of a quality music player that supports MP3 and a video player too that plays your videos with crystal clear clarity. 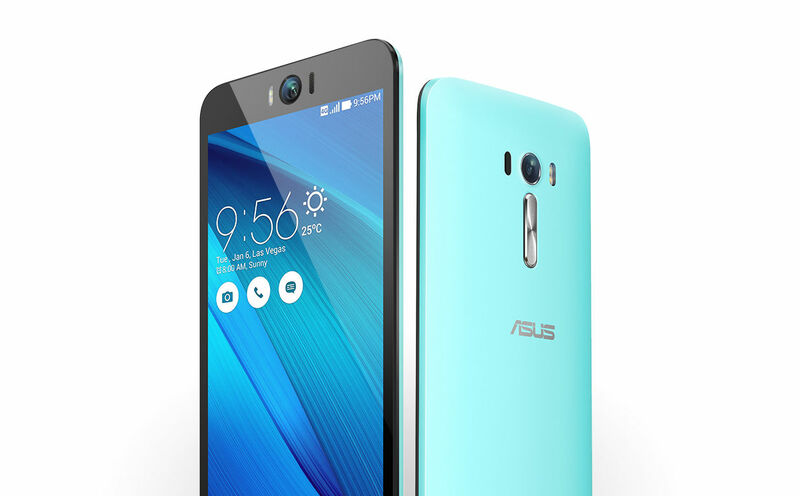 Asus ZenFone Selfie (ZD551KL) consists of both rear and front-facing camera of 13 MP. Both the cameras are engineered with five-prism Largan lenses and top-quality Toshiba sensors, that include dual-LED Real Tone flash technology for capturing perfectly illuminated pictures in any lighting conditions. The rear camera works wonderfully with a large f/2.0 aperture lens that delivers superb low-light shots. Simply draw an S on the display, smile and capture the selfie. This smartphone is all ready to snap selfies with just a quick swipe. 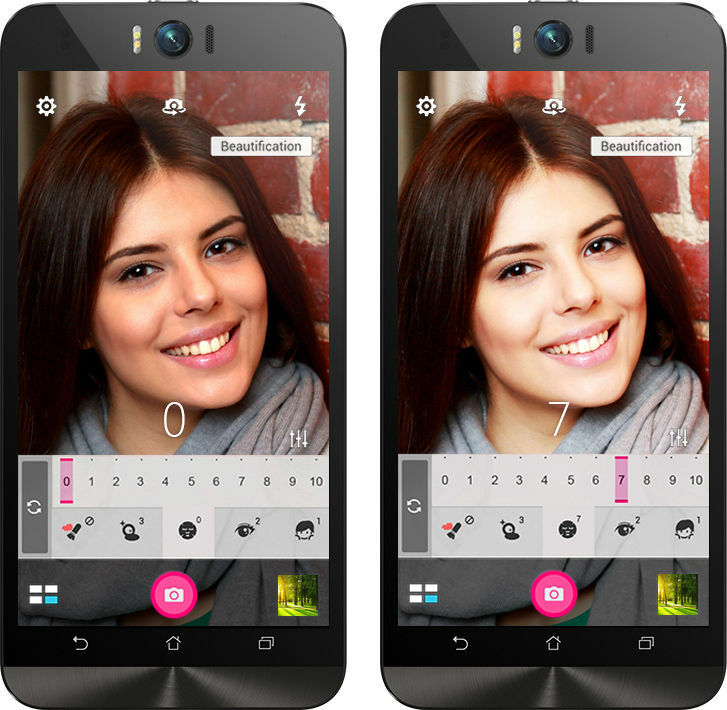 You can make your selfies look glamorous with the beautification mode. This mode balances facial features, softens complexions and remove skin blemishes to create flawless photos. With the help of special wide-angle mode and ZenFone Selfie’s f/2.2-aperture front lens and 88-degree field of view, you will be able to capture panoramic selfies of up to 140 degrees. Go, travel and capture perfect selfies with dramatic and panoramic backdrops! Sharing of pictures, videos and other form of data is really a fun with this smartphone that supports connectivity options like Bluetooth, WiFi and other Internet features. Store to your heart's content with the internal storage of 16 GB and the expandable memory of microSD card of up to 128 GB. Also, battery drainage will never be an issue with this smartphone as the battery capacity is of 3000 mAh. Both – quality and innovation matter for Assus while designing each of its product. Specially designed for 'Selfie' freak people is its smartphone- Asus ZenFone Selfie (ZD551KL). It is described as the smart fusion of fashion, technology and crafstmanship bearing brilliant front and rear camera, that gives you a unique selfie experience. Scroll down to learn more about its exciting features.....Design and Display Zenfone Selfie (ZD551KL) is 5.5 inch smartphone, easy to carry anywhere and easily slides into your pocket or purse. It is equipped with a high resolution 1920 x 1080 Full HD IPS display that gives a vivid viewing experience with wide 178-degree viewing angles. With 403 ppi pixel density, you will be able to view everything in perfect detail and with ASUS TruVivid technology, it will bring colours to life on your screen. 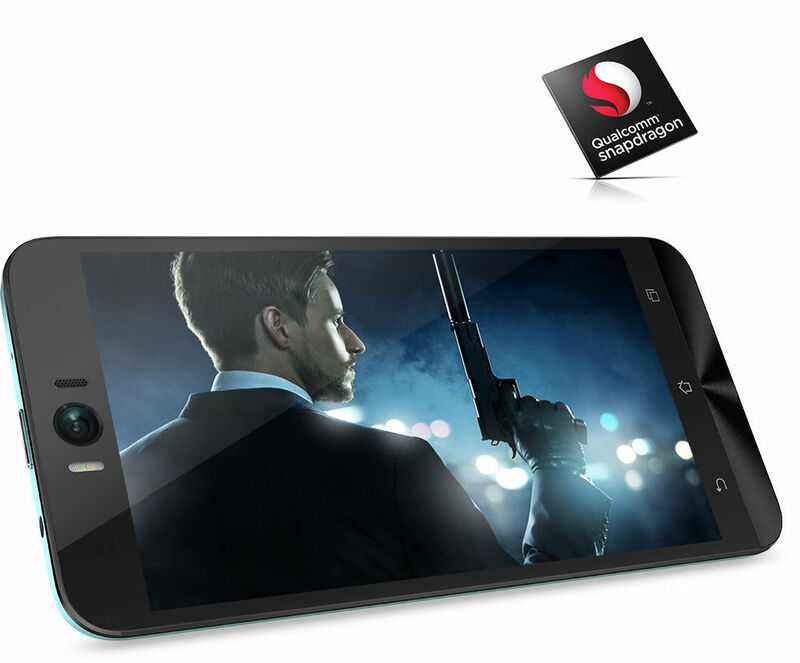 To make this brilliant device robust, this phone is equipped with strong Corning Gorilla Glass 4 that gives an extra protection to the device by making it drop-damage resistant, thereby increasing its strength and sturdiness.Processor and OS Asus ZenFone Selfie (ZD551KL) consists of the industry's first octa-core 64-bit processor — Qualcomm’s Snapdragon 615 that gives superb performance coupled with a massive 3GB of fast memory. With this processor, you will be able to shoot pictures with amazing speed, record and edit Full HD (1080p) video with minimal battery draw. Also, with 4G/LTE you will be able to share everything at incredible speed of up to 150 Mbps. 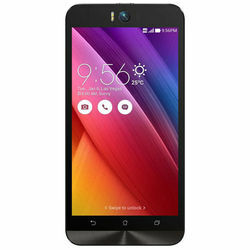 It runs on the operating system Android v5 (Lollipop) which helps you to easily multi-task.Multimedia Play your favourite tracks whenever you want as this smartphone consists of a quality music player that supports MP3 and a video player too that plays your videos with crystal clear clarity.Camera Asus ZenFone Selfie (ZD551KL) consists of both rear and front-facing camera of 13 MP. Both the cameras are engineered with five-prism Largan lenses and top-quality Toshiba sensors, that include dual-LED Real Tone flash technology for capturing perfectly illuminated pictures in any lighting conditions. The rear camera works wonderfully with a large f/2.0 aperture lens that delivers superb low-light shots. (i) Just Swipe S for Selfies:Simply draw an S on the display, smile and capture the selfie. This smartphone is all ready to snap selfies with just a quick swipe. (ii) Beautification Mode: You can make your selfies look glamorous with the beautification mode. This mode balances facial features, softens complexions and remove skin blemishes to create flawless photos. (iii) Selfie Panorama: With the help of special wide-angle mode and ZenFone Selfie’s f/2.2-aperture front lens and 88-degree field of view, you will be able to capture panoramic selfies of up to 140 degrees. Go, travel and capture perfect selfies with dramatic and panoramic backdrops!Connectivity Sharing of pictures, videos and other form of data is really a fun with this smartphone that supports connectivity options like Bluetooth, WiFi and other Internet features.Memory and Battery Store to your heart's content with the internal storage of 16 GB and the expandable memory of microSD card of up to 128 GB. Also, battery drainage will never be an issue with this smartphone as the battery capacity is of 3000 mAh.